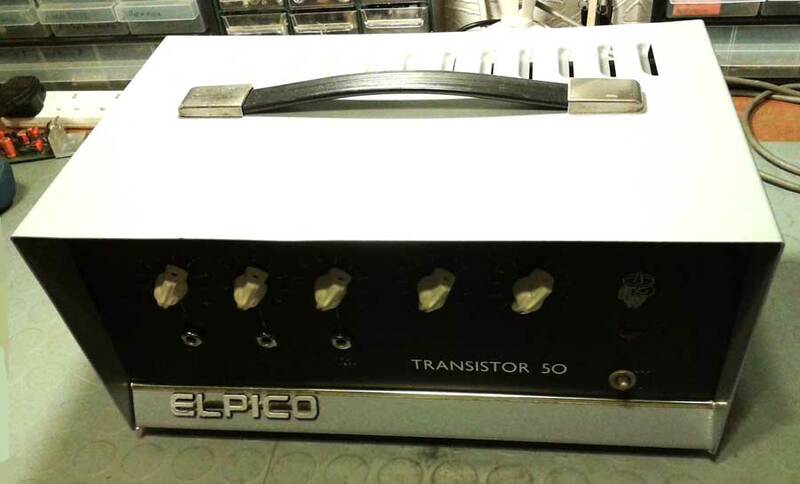 Ian repairs, services, & restores amps and associated equipment. He is based in the Basingstoke/Reading/Newbury area, and can be contacted on 07771-504806 or at ian@pitchforkband.co.uk . The case is refinished in silver compared with the original Hammerite finish that can be seen on the rear view photo below. 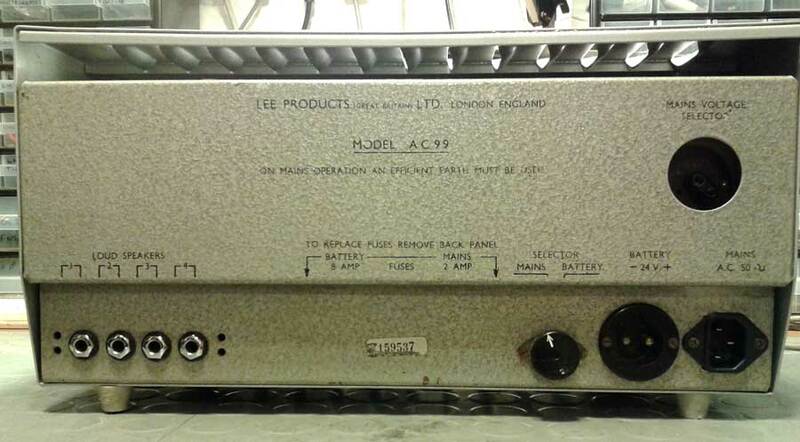 The mains socket has been changed from the original Bulgin type to a modern IEC type. 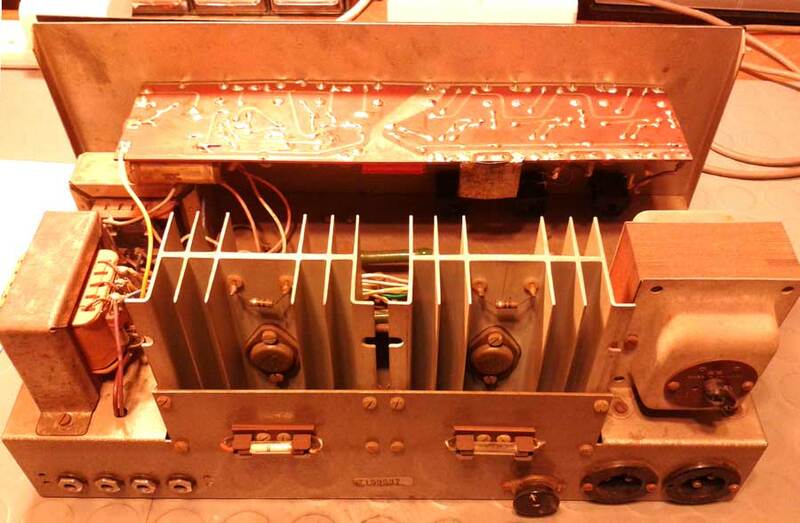 There is a facility to use the amp using 24 volts DC - i.e. two 12 volt car batteries. 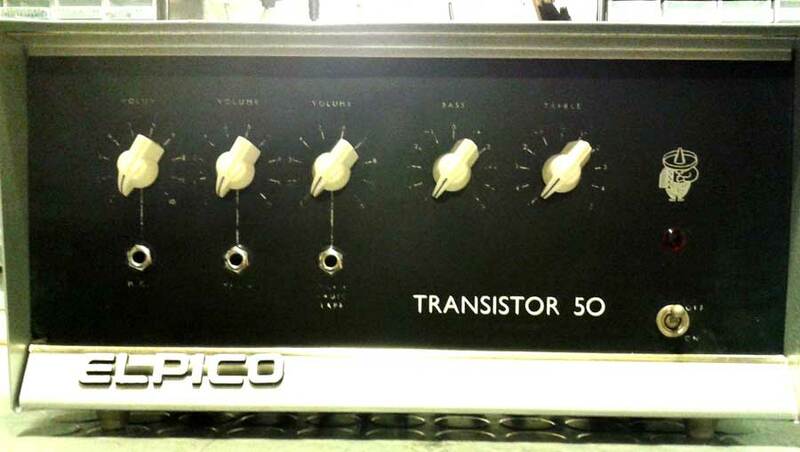 ThisElpico amp is a solid state unit, using Germanium PNP transistors and a Selenium rectifier. 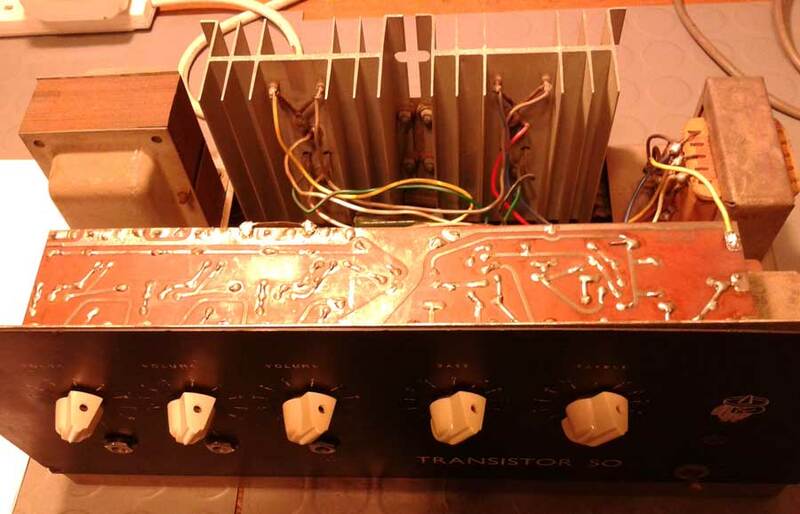 The power amp is transformer coupled and there is a choke in the power supply.